The curtains come down on Africa’s biggest showpiece as 2 of the continents sleeping giants awake from their slumber to battle for African football’s most prestigious prize. In what promises to be a cptivating final with a bit of a nostalgic feel to it. Cameroon’s AFCON preparations were thrown into turmoil after a number of key individuals such as Eric Chupo Moting, Allan Nyom, Joel Matip, and Andre Onana decided the AFCON wasn’t worth their time and asked to be excluded from the team for the tournament. They have played with the type of verve and passion that would have the more established snubs with their hands on their heads when they think about their international futures. Players like Ngadeu-Ngadjui, Benjamin Moukandjo, Christian Bassogog and Fabrice Ondoa have been titanic for the Indomitable Lions and could write their names in history alongside greats such as Samuel Eto’o and Rigobert Song with a first AFCON success for Cameroon since 2002. 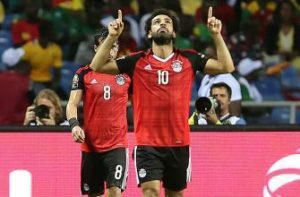 Egypt had a relatively quiet build up to the tournament as their stars were only too keen to show their patriotism after qualifying for their first AFCON since winning the 2010 edition. They qualified with a game to spare knocking out 2013 champions Nigeria and they haven’t looked back since then. They have come this far on the basis of some incredibly disciplined defence conceding only once throughout the tournament, in the semi final against Burkina Faso where they eventually triumphed on penalties due to heroics from their legendary goalkeeper Essam El Hadary. Dubbed the Egyptian Messi, Salah is living up to the hype especially for Egypt. After finishing as their highest goal scorer in qualifying, he picked up where he left off and has scored 2 and assisted 1 of Egypt’s 4 goals en route the Final, he can only hope he doesn’t have the Argentine’s luck with finals. When the defence is solid, they can count on Salah to make sure their good work isn’t in vain. The Pharaohs will definitely be looking for another inspired performance from their Talisman as well as their rock solid defence. Ngadeu-Ngadjui has been a revelation for Cameroon and has been a key component of a rigid, uncompromising, some might even say Indomitable defense and he has also been effective in the opposition box aiding the team with 2 important goals(winners against Guinea Bissau and Ghana). Other top performers Benjamin Moukandjo and Christian Bassogog will need to bring their A game if they are to inflict a first AFCON tournament defeat on Egypt since Algeria managed the feat in 2004. 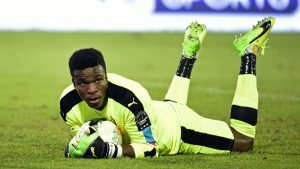 Former Barcelona trainee Fabrice Ondoa at the age of 21 has been immense for the West Africans and hasn’t conceded in the knock out phase, even coming up trumps in the penalty shootout against Senegal saving the decisive penalty from the boot of Sadio Mane will be coming up against his opposite number in the form of Egyptian goalie Essam El Hadary who won his first AFCON winners medal two years after Ondoa was born. El Hadary has gone on to win 4 AFCON tournaments and could break two records simultaneously if he wins, by becoming the Oldest player to win and the winner of the most tournaments in AFCON history. 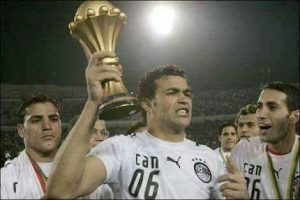 Egypt remain undefeated in 24 AFCON tournament matches and but did not qualifying for the last 3 editions, which was rather absurd considering they had won the 3 tournaments preceding the 2012 tournament. While Cameroon qualified for the group stages last in 2015, but we’re dumped out at the first hurdle finishing bottom of their group. Prior to that, they had failed to qualify for the 2012 and 2013 editions. The last time they came this far was in 2008 where they fell to none other than the Pharaohs of Egypt. On Sunday, the two teams with the most AFCON gold medals in history lock horns once again in Epic battle. The Pharaohs and their tactical and defensive discipline looking to extend their record to 8 trophies will come up against the Indomitable Lions in all their might and robustness who are on their own quest to pick up a 5th title.